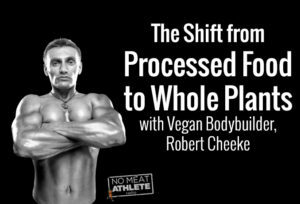 When I was studying Dr T Colin Campbell’s eCornell Certificate in Plant-Based Nutrition 1 , the inspirational plant-based athlete Robert Cheeke presented a module entitled Eating to Prevent Sports Injuries. Its message was so simple and powerful that I thought it worth providing a quick overview of the points he raised. You can find lots more about his amazing story (and perhaps take a look at the books he’s written) by visiting his website 2 . So what does a plant-based diet provide? These are all in abundance in plant-based whole foods. Naturally, certain foods will have superior nutrition than others, but micromanaging the diet is not something Robert thinks is either necessary or desirable. Rather, he suggests we get full nutrient density by eating a balanced whole food diet. With better overall nutrition, we’re going to help with muscle recovery and muscle repair, and it will, of course, also help provide the best amount of energy before a workout. I’ve already covered some aspects of sports recovery in a previous blog 4 , but the subject of avoiding sports injuries in the first place, by eating a balanced plant-based diet, is worth stressing for its own sake. Apart from anything else, avoiding injuries increases greatly the enjoyment of our training. 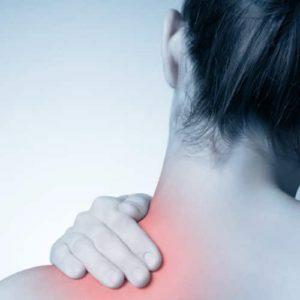 Certain plant-based whole foods have anti-inflammatory properties 5 and so reduce inflammation in our muscles. We know that processed foods 6 and animal-based foods 7 , on the other hand, are pro-inflammatory and are likely to undo some of the the gains we achieve through our efforts. Plant foods (particularly leafy greens) are rich in nitric oxide, a vital chemical that we’ve already covered in previous blogs8 9 , and which Dr Greger further explains in relation to athletic performance 10 . It’s the nitric oxide that will “get that blood flowing better”. Improved circulation during a workout, less sticky blood, better cell nutrition, and better movement and flexibility. There are numerous plant based foods that will help in general, throughout our body – things like ginger root to help reduce inflammation, foods rich in omega 3 essential fatty acids (such as walnuts, flax, hemp, and chia) 11 . But, once again, the focus is not on specific individual foods, but just to show an example of certain foods that are great for injury prevention and muscle recovery. Having adequate energy before a workout to make sure we get the best return on investment from the exercise session relies on eating foods that will provide both quick energy as well as long-lasting sustained energy. Fruits are quickly absorbed and digested and will provide quick-release fuel for short energy bursts. Fruit is ideal to have just before exercise, since it will provide us with a better workout and better muscle growth stimulation as a result. Complex carbs like potatoes, oats, brown rice, and quinoa are excellent for slower digestion and a longer lasting supply of energy. When we’re in it for the long haul, those foods are going to provide all the energy we need. Feeling positive and avoiding emotional ups and downs is one of the gifts provided free by eating a WFPB diet. Animal-based and processed foods are linked with inflammation and, in turn, inflammation is linked with depression 12 . A positive attitude helps us to maintain enthusiasm and commitment, as well as work harder. Our bodies are made up of the food we eat. It’s as simple as that. By eating an optimally healthy WFPB diet, we are giving every cell in our bodies the perfect and ideal fuel that we have evolved to run on. Eating complex carbohydrates replenishes the energy supplies that were lost through sweating. 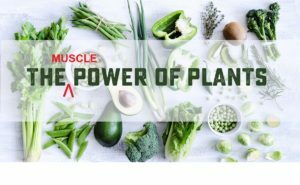 The ideal balance of amino acids in plant-foods (including beans, grains, green vegetables, nuts and seeds) will help to maintain flexibility and aid the muscle tissue repair that was put under stress during the workout. It’s not possible to overstate how important it is for optimum performance, injury-avoidance and after-exercise recovery to maintain high levels of hydration. Our muscles are 70% water. 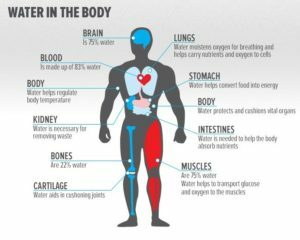 Our bodies are 70% water. Whole plant foods are really high in water, especially fruits and vegetables, and thus provide slow-release of the water contained within them. Not only is hydration important in order to prevent cramping, but longer-term effects and injuries can be caused if we don’t maintain appropriate fluid levels. Headaches and feelings of lethargy are only some of the effects that can prevent us from getting the most from our workouts. Water can be often under-consumed, under-appreciated, overlooked, and it’s right there in perfect balance within plant-based whole foods to be consumed. 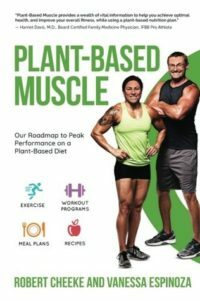 The best way to check whether our plant-based diet is able to repair faster, recover better, grow our muscle tissues more effectively and help us to perform better without suffering regular sports injuries is to keep a diet/exercise diary and let the facts speak for themselves. You may be surprised to learn that 80% or more of all modern chronic diseases are thought to be avoidable with simple dietary and lifestyle changes 13 14 . If food and other lifestyle changes (such as simply increasing daily exercise levels) can have such a profound effect on the development of chronic diseases like diabetes, cancer and heart disease, then it’s easy to appreciate the important impact that diet will have on our ability to avoid sports injuries, improve recovery, and enjoy enhanced performance. Previous Previous post: Is Drinking Distilled Water Safe? Next Next post: Can Green Tea Treat Fibroids?